There are the will they/won't they duos, the liars and cheaters, and the on again/off again romances. But what about the married partners that make it all work? Surprisingly, TV has several married couples who are not only happy, but still wildly entertaining to watch. They may face challenges, but these twosomes are madly in love, even after surviving the bad times along with the good. Thankfully, some TV couples make us believe that wedded bliss is possible. Here are the 13 marriages we wish were ours! They're still madly in love and the best of friends. Beth and Randall's marriage is built on mutual respect, support, and trust. They see the best in one another, protect each other, and even argue without ever tearing one another down. They're good parents but even more important, they are good partners. Who doesn't want a marriage like theirs? She's a former CIA agent turned Secretary of State. He's a college professor and a consultant for the NSA. Despite the fact that they both have demanding careers and are raising three challenging teenagers, Elizabeth and Henry still manage to make one another a priority. These two flirt often, sometimes argue, and always pull together to make their marriage and family work. No question, we definitely aspire to have what they have. Snow and Charming's love has survived through multiple realities, time shifts and evil villains. They've even proved that True Love's kiss can break a curse. Whether they go by David and Mary Margaret or Prince Charming and Snow White, these two embody the true meaning of happily ever after and nothing or no one will tear them apart. They started off as partners and over time became good friends. Through serial killers, Booth's gambling addiction, and relationship growing pains, these two have turned out to be one of the strongest couples on TV. Now they're not only married and in love, they are the proud parents to two precocious kids, and somehow still find the time to fight crime. It's difficult not to fall in love with Booth and Brennan. They were already an amazing couple and wonderful parents to their daughter Lily before they ever got married. 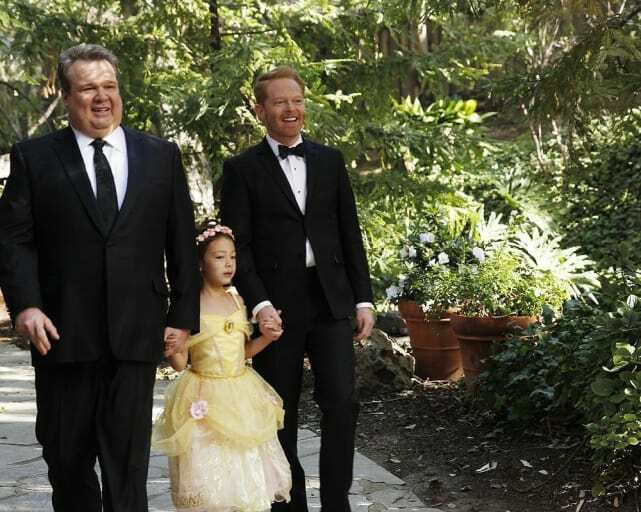 So we were thrilled to see Cam and Mitch finally tie the knot and make it official on the Modern Family season 5 finale. Their acceptance of one another’s quirks makes their marriage even stronger and that's something to which we can all aspire. Once upon a time, Howard was an immature guy who lived with his mother, but he's grown up a lot since then. Once Howard met Bernadette, he became a part of one of the sweetest, funniest couples on TV. From their first date, to their perfect rooftop wedding, and the song he wrote her on their anniversary, we love watching Bernadette and Howard. Now that this unique couple has become a family, we can't wait to see more. Last Man Standing Canceled; Modern Family Renewed for 2 Seasons! 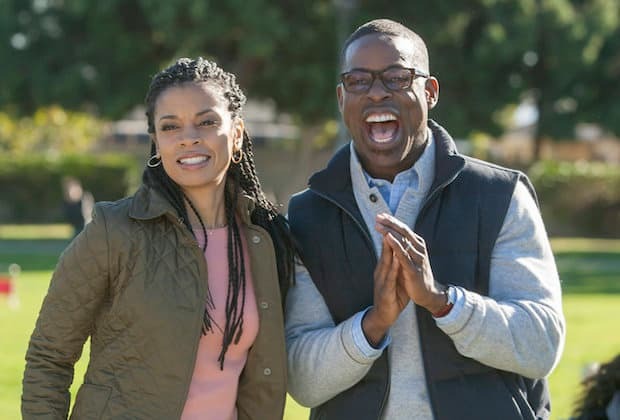 This Is Us Season Finale Review: Will This Tide You Over? Major Crimes Review: Did the Cops Go Too Far? The Big Bang Theory Review: Who's Going to Comic-Con? Grey's Anatomy Round Table: Should Owen and Amelia Just End It?